Americana, is a career defining album from an artist whose writing has helped shape modern music. Drawing on five decades of experience, the 15 tracks that make up Ray’s first album of new material in nearly 10 years are as personal as they are rich in musical detail. The result is an album where raw emotions and genuine intimacy are juxtaposed with widescreen sound and spoken word passages that combine to provide an impressionistic narrative. Americana was born out of a period of deep contemplation that followed Davies’s brush with death in 2004 when he was shot by a mugger on a New Orleans side street. The period of convalescence that followed saw him begin to examine his life via a diary in which he detailed both his recovery and, more significantly, his inner monologue. 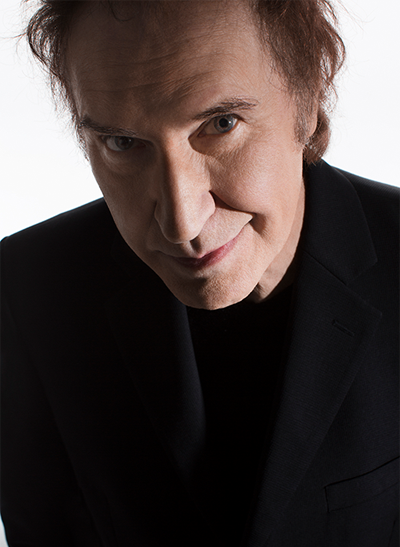 These writings form the basis of Americana: The Kinks, The Road And The Perfect Riff, his acclaimed 2013 memoir in which Davies attempted to come to terms with the key events that had defined his life, using his complex relationship with America as a backdrop to do so. The Kinks’ first major Stateside adventure in the summer of 1965, however, provided him with a less romantic reality, culminating in a well-publicised run in with the unions that led to the band being unable to tour there for three years. Revenge, however, would follow, and their return in ’69 saw The Kinks begin their ascent that would see them attain nationwide popularity during the next two decades. Staying in New York for a period of time in the late ‘70s, Davies began to understand America further, absorbing its culture and marvelling at its strengths and reflecting on its flaws. It is this myriad of experiences that have informed the music that makes up Americana, the album. Added to that is something that has long lain at the heart of Davies’s music: a quest for the self. “I had to learn something about myself before I could reveal it to the rest of the world,” he wrote in his diary, while convalescing in New Orleans. The album sets part of that revelatory process to music.